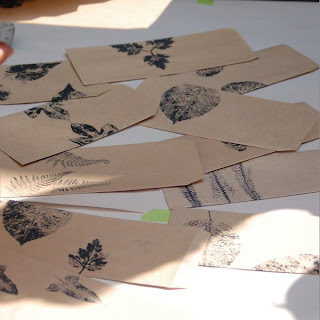 we went hunting for leaves which we thought we were going to do leaf cutouts but actually we were printing with leaves and not cutting them. 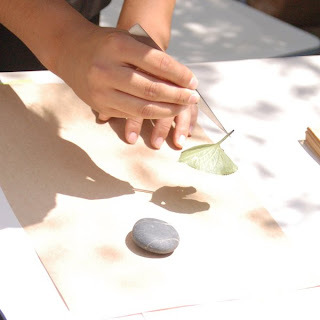 Koga san demostrated how to print with leaves. 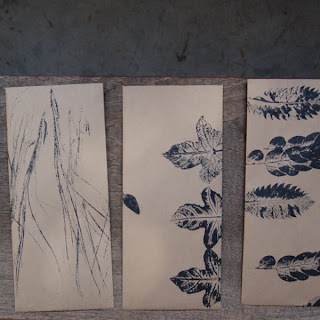 These are the envelopes he made with the leaves printed paper. He let us pick one as a gift from him. Sweet! His prints are so delicate and so nice. 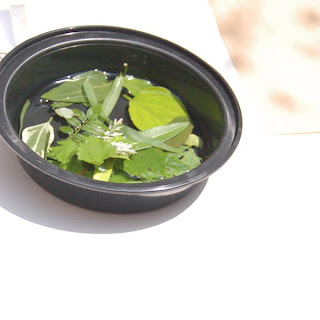 It captures the most beautiful grain and texture of leaves. These are the ones I made, and I love the ones with grass. 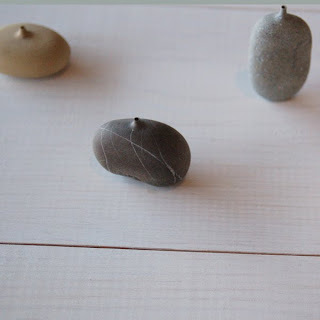 In tortoise you still can see some of the sea stone vase and sculptures by Koga san. The are so fine! 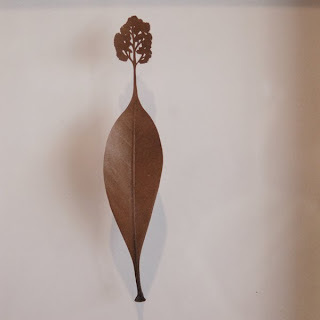 The leaf cutout art from Koga san. It was a very nice work shop!! I'm glad that I went. It was so nice to meet Koga san. 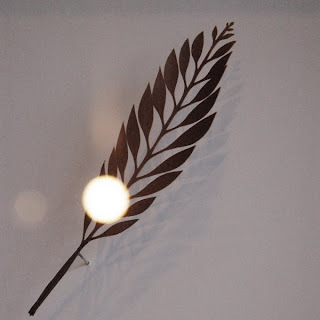 The leaf prints are beautiful! Was it difficult to do? 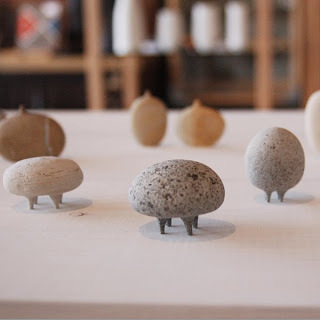 And I find the stone sculptures really cute!! I took the workshop on Saturday! He makes such wonderful work. I have to put up pictures of my envelopes. Glad you enjoyed your day! What a beautiful post! So delicate! J'aime beaucoup les petits cailloux à pieds.C'est choux.